Join us every week for a fun round up of projects and ideas to do with your kids during the summer. 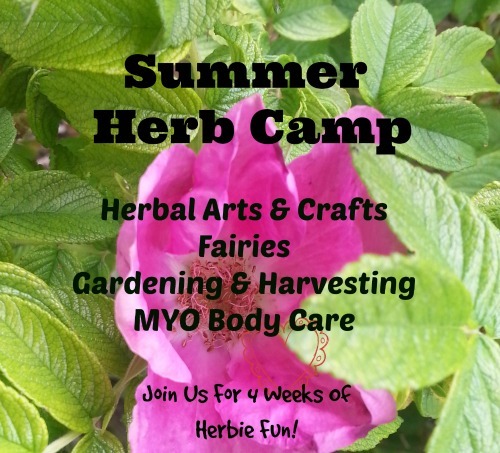 Each week will have a theme with lots of projects to do using herbs, exploring science and natural, holistic living plus some great crafts for good ol' fashion fun! Many projects can be adapted for multiple age ranges depending on your child's interests and developmental stage. Start your journey into the world of Fae with a couple of lovely books about fairies. Have you seen the adorable, beautiful paintings by Cicely Mary Barker? If you haven't you are in for a treat! These are some of our very favorite fairies and if you look around you will find a plethora of books, activities books, figurines and more based on these fairies. The Complete Book Of The Flower Fairies is a compilation of all the smaller Flower Fairy books by Barker. Full of beautiful paintings and poems all created by Barker, this book really stimulates and inspires the imagination. My girls and I adore the delightful little poems and amazing paintings which were done from children modeling as fairies. Another of our favorite's based on Ms. Barker's fairies is this wonderful CD. On this CD Barker's sweet poems are lovingly set to music. It really sounds like little fairies singing! We have spent many happy hours listen to this CD, singing along and then finding the corresponding flowers out in the world. Go on a magical journey with Kristen in this is lovely book all about creating a fairy house in a beautiful wood using only natural materials (which are preferred by fairies). If your kids are anything like mine when you finish reading this with them they will be heading outside with great anticipation and excitement over building their own fairy house. Here are some fairy projects full of creativity and fairy magic! Go to one of you favorite places in nature and build a house for the fairies out of natural materials you find around you. Be sure to check back on your house regularly to see how the fairies are enjoying it! Like wands and crowns and even wings! There are a lot of amazing ideas for creating your own beautiful fairy accessories online. Just a quick search away! 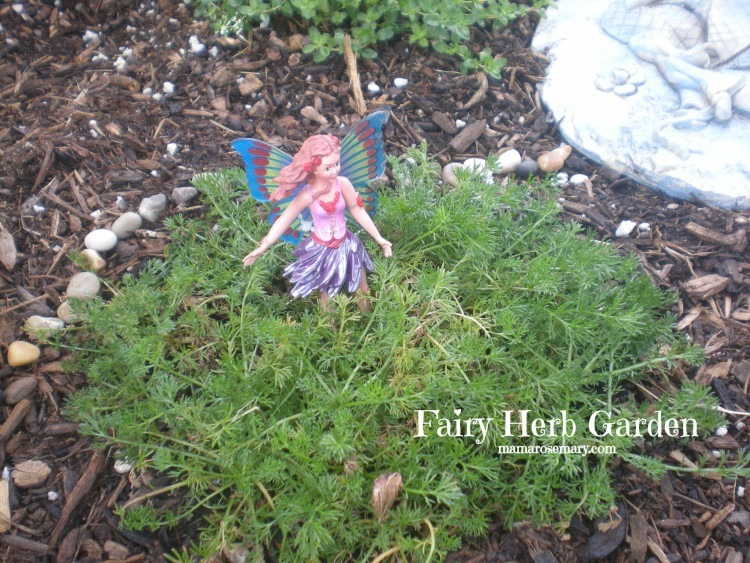 The Magic Onions Fairy Garden Contest ~ check out all the wonderful fairy gardens and get inspired. Seriously there are some super cute, creative gardens here. Don't forget to enter the contest if you make your own fairy garden! 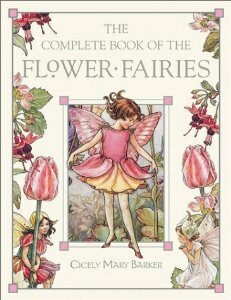 Flower Fairies ~ the official site for Cicely Mary Barker's fairies and enjoy the online fun and free activity sheets. Looking for a fairy gift? Check out A Fairy Git ~ MYO Edible Fairy Garden Kit! Please join us again next week for lots of aromatic fun with herbs and essential oils all mixed up together in a classic favorite, play dough!